Game of Thrones is a fantasy drama series set on the fictional continents of Westeros and Essos. 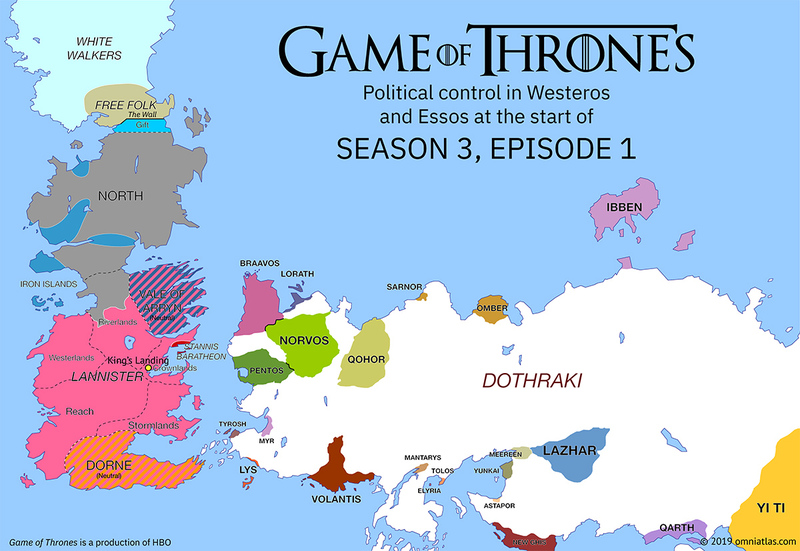 It is produced by HBO, based on author George R. R. Martin’s Song of Ice and Fire books. 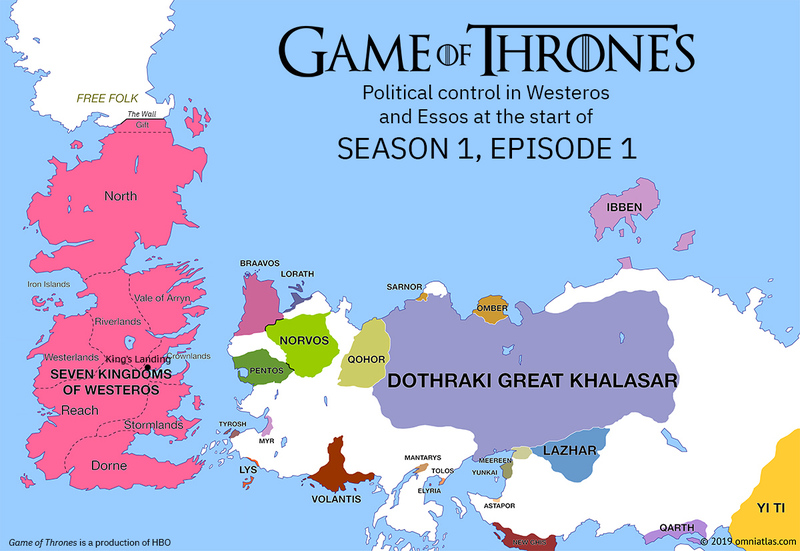 Compiled here is a sequence of Omniatlas-style maps covering the situation in Westeros and Essos at the beginning of each season. Game of Thrones consists of three main story arcs: the struggle between the Lannisters and the other major houses of Westeros for control of the Seven Kingdoms of Westeros; the return of Daenerys Targaryen from Essos to reclaim the throne of her father, former King of the Seven Kingdoms; and the growing threat in the north of the White Walkers and their army of the dead. 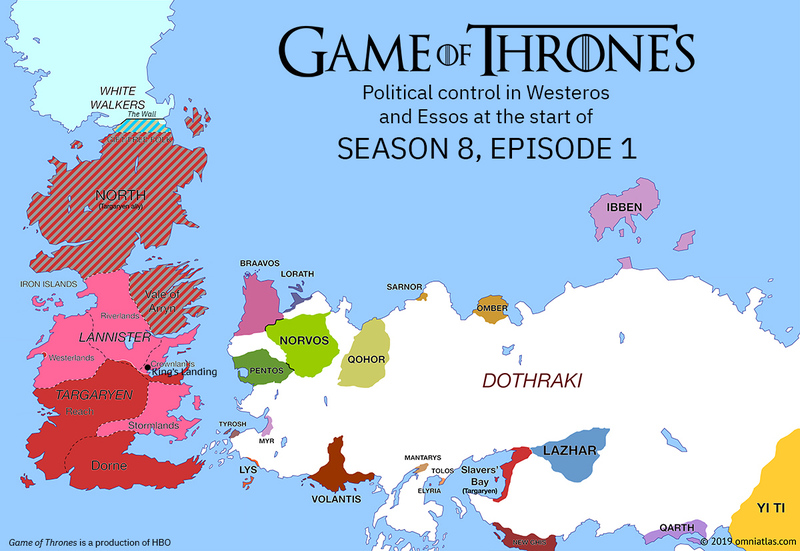 The maps below cover the changing fortunes of the different factions in the world of Game of Thrones at the beginning of each season, using the conventions established in the regular Omniatlas maps. 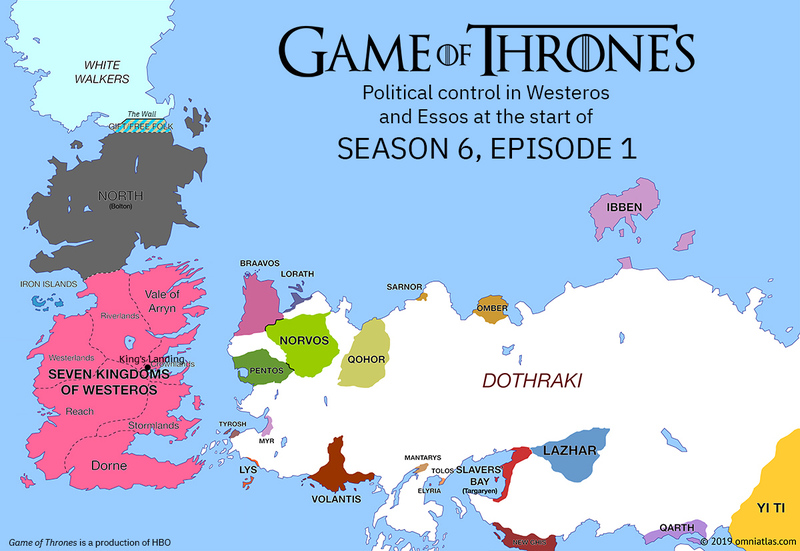 These maps are also viewable in atlas format on this site: https://omniatlas.com/maps/game-of-thrones/ They start at Season 1 and will continue to cover each episode for the present season, so beware of spoilers.